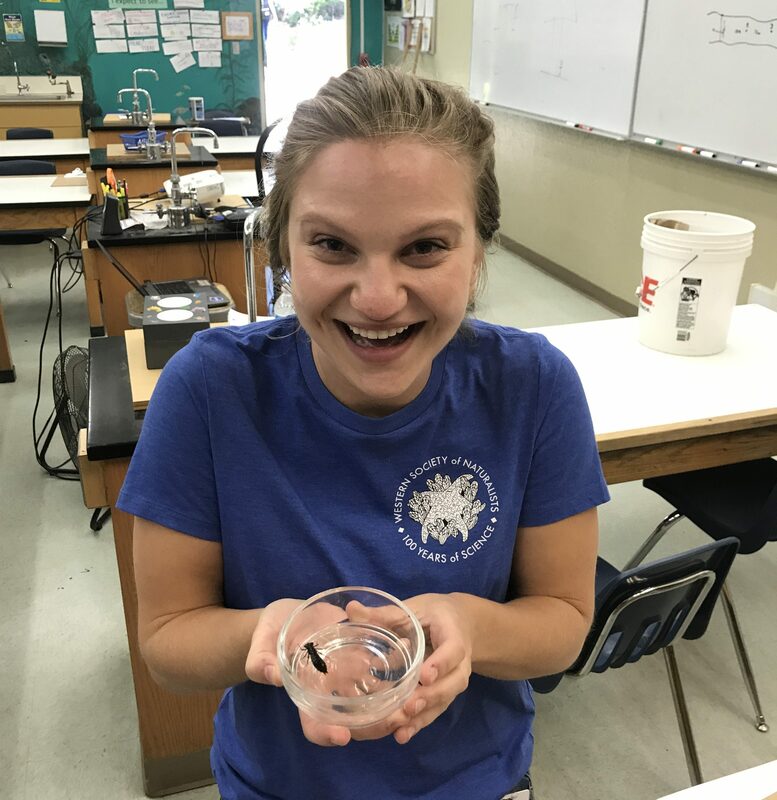 Doriane joined fellow members of the Santa Cruz- Monterey Bay Area subunit of the American Fisheries Society to teach AP Biology students research techniques to study local river ecology. Students were divided into groups to sample water chemistry, biology, and other river characteristics used to assess stream health. As a leader of the invertebrate sampling team, Doriane led a small group of students to a region of rocky stream bed and helped them collect critters using large nets and sampling bottles. Together in the classroom, they identified invertebrate species using dichotomous keys and field guides, then characterized the sensitivity of each organism to determine whether they would be found in a healthy stream. This project is part of an ongoing research project with Harbor High School for students to develop conservation plans to improve conditions in Arana Creek, which runs through their campus. Read more about Doriane’s other outreach here.